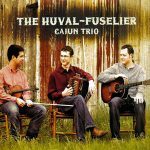 On the bayous and back roads of South Louisiana, Zydeco serves as the soundtrack of the lives of Creoles and Cajuns alike. 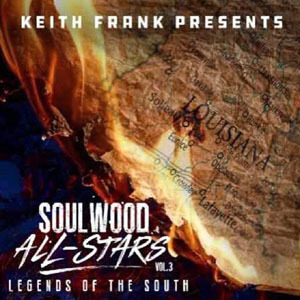 For the past three decades, the playlists of crawfish boils, family reunions, weddings, and social gatherings have been dominated by one artist: Keith Frank. 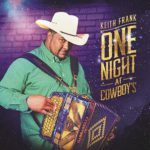 Keith Frank: arguably South Louisiana’s brightest star, has stood at the forefront of Zydeco music since the early nineties, earning him the moniker “Zydeco Boss.” Try as they may, the Soileau Zydeco Band and their sound has withstood the test of legends, newcomers and an ever-changing world alike. Despite it all, their signature sound has continued to be the heartbeat of a culture. ONE NIGHT AT COWBOY’S is a testament to the Soileau Zydeco Band and it’s staying power. 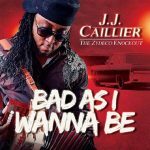 Fourteen tracks oozing with that signature, hard-driving Soileau Zydeco sound, it’s the same blend of musical spices the world fell in love with so many years ago. Keith and the band have managed yet again to stir up that perfect mix of tradition and innovation that is food for the soul! Keith said it best that night, stirring that sauce piquant, “Good music is like good food. The longer you cook it, the better it gets. It will never go out of style!” Released in June 2017, 14 tracks.